Discussion in 'Tarantula Pictures' started by MrDeranged, Jan 14, 2004. I live in a van down by the river!!! I had gotten two A. diversipes slings from the first US sac, one would not eat or take water and was lost after a few weeks, the other matured into a male. Jamie (jamiestarantulas.com) quickly replied to my AB classified listing him for breeding, quite a surprise as I'd assumed that finding him a date would be a long-shot. Jamie had successfully obtained the 2nd and 3rd diversipes sacs in the states ... she's incredibly talented, and seems to run on pure enthusiasm! Once again she succeeded in breeding with the MM which I had sent to her, these are 2nd and 3rd instar from that sac. Stunning!! 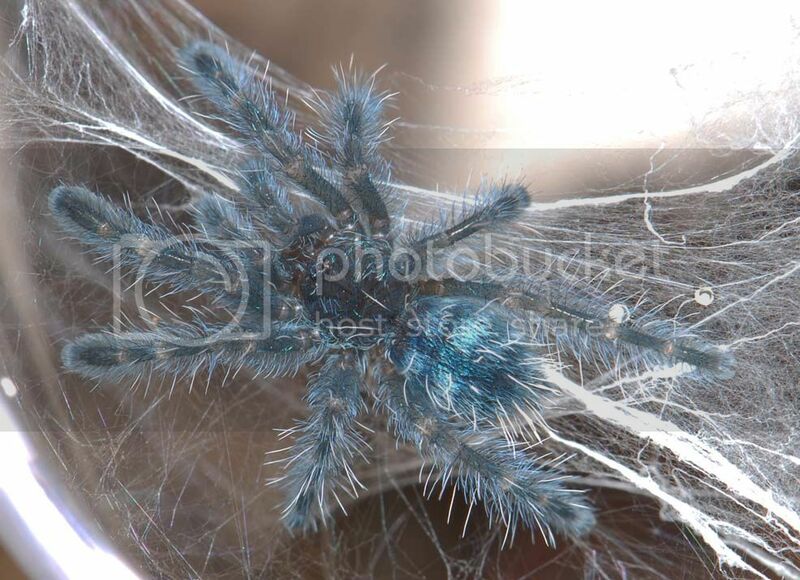 I believe these will soon be reclassified as an Iridopelma. Thank you! Yes, that would make a lot of sense to me, their behavior is not at all Avic-like. Even without the extra hooks? Well, I was told by a breeder I trust that they were going to be reclassified. 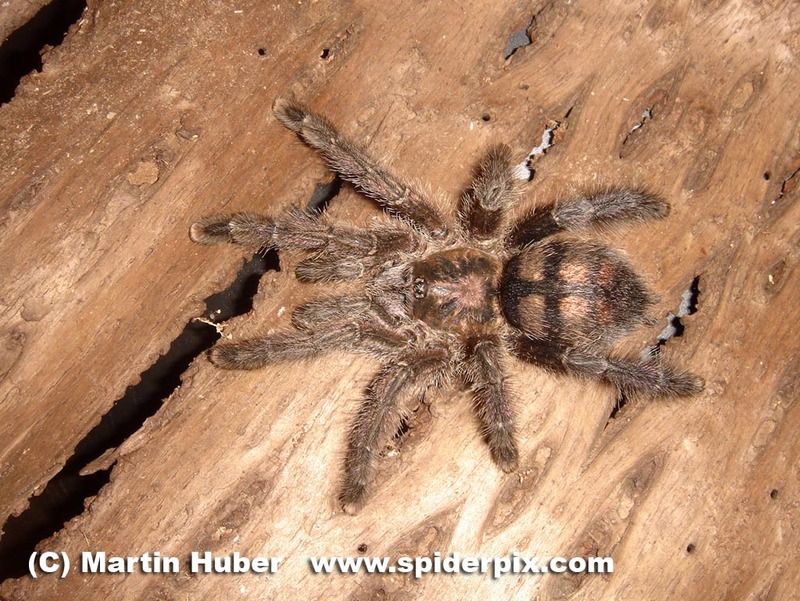 Then I replied to an old thread(Iridopelma Q....see it in Tarantula discussion) and got some pretty good info. That was the exact thread I was thinking of when I read your post. 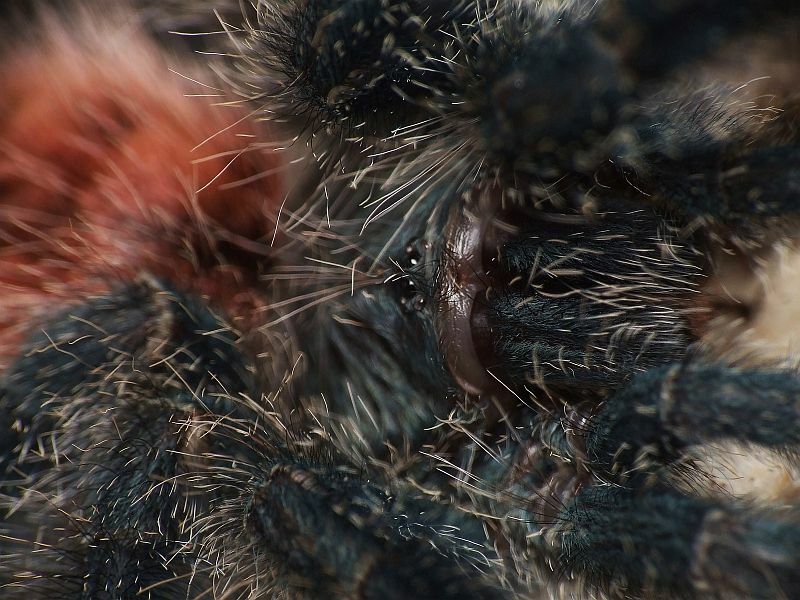 I don't doubt that they will be reclassified but not in Avicularia. 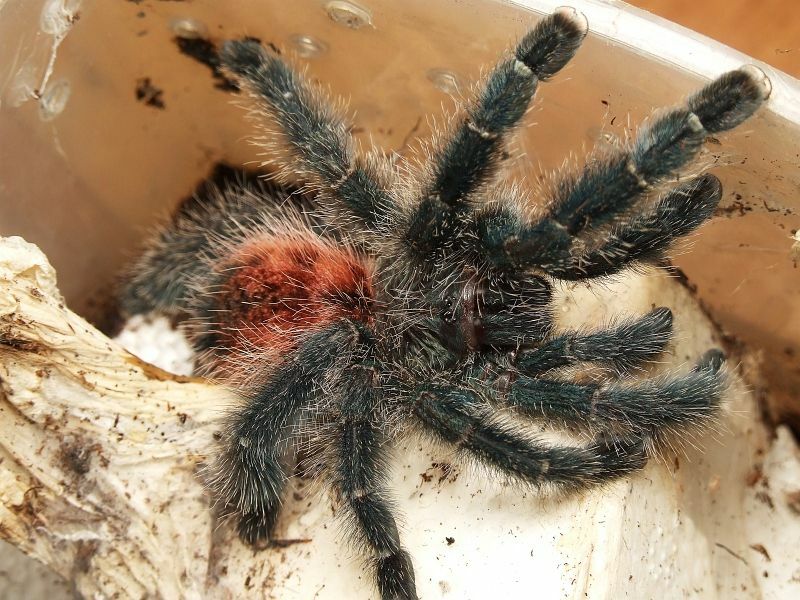 Just like Avicularia versicolor and Avicularia laeta has been hinted at moving out of Avicularia. Jamie also sent along a few versi slings with the diversipes, I took some shots of one of them the same night. I especially recommend the 'Original' size view of these two on flickr. I think this first one looks kind of like an android T, with the blue electrical circuitry visible beneath its removed access carapace. When purchased the seller also had "Peru Purple" and slings which looked similar to this sling, but minor differences in the rump pattern. This has been discussed before, but what does your trusted dealer base his opinion on?